During Programme No. 6, 7 November until 13 December, 2009, exhibition installation “Global Trash” by the Swedish creative group “Candyland” on the first floor of Kim? abode. “Candyland” is the name of a non-profit art space in Stockholm where various exhibitions, performances, workshops and other events take place, as well as the name of the group of people who take turns in organizing these events. However, “Candyland” does not only organize the work of others, but also undertake projects of their own. “Candyland” projects as well as events organized by them are often experimental and informal in their presentation with a good dosage of humour. 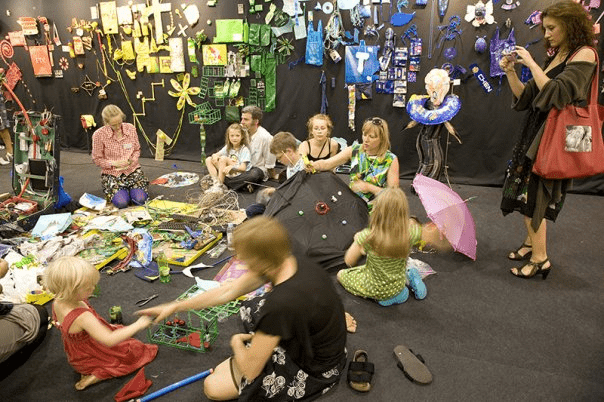 The project “Global Trash” was initiated at the art fair ARTVILNIUS’09 in Vilnius, Lithuania in July, 2009. In Riga the installation “Global Trash” will be created during the opening night of “Climate” by “Candylan” as well as Swedish artists from a sister organization “Hammarby Artport” and their children. 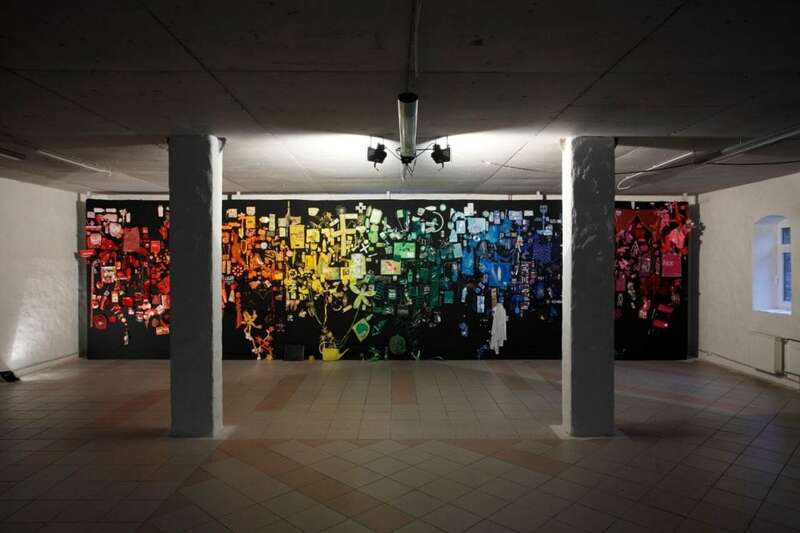 The artists will be arranging colourful trash on a large-scale canvas. Today the use of colour is disappearing from packaging and disposables for ecological reasons. In Latvia like in other former Soviet countries this desaturation is happening not long after people have experienced the delight of colourful packaging. “Global trash” is both critique and celebration of the colourful garbage, it is an attempt to create something beautiful out of waste, and make a constructive contribution to the environmental discussion. The project and installation “Global Trash” in Riga was made possible with support from IASPIS (International Artists Studio Program in Sweden) and Moderna Museet, Stockholm, Sweden.